For multispiral hoses we have the EH-profile or high-lock series. With this profile inside and external skiving is no long a must for the heavy serie hoses. 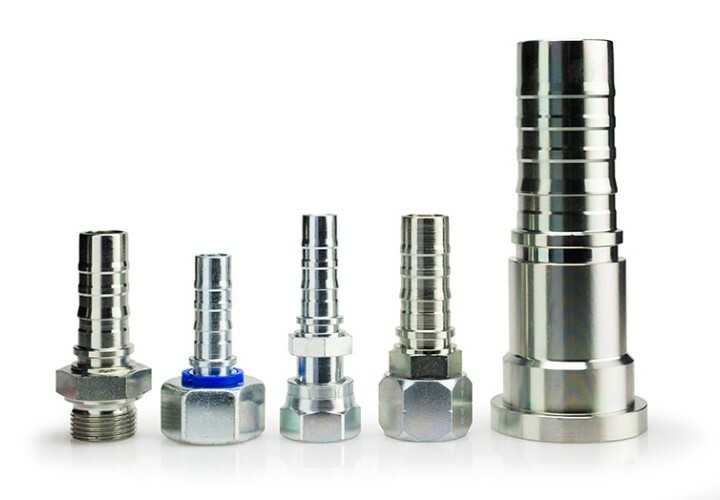 There are different no skive and only outside skive ferrules available. 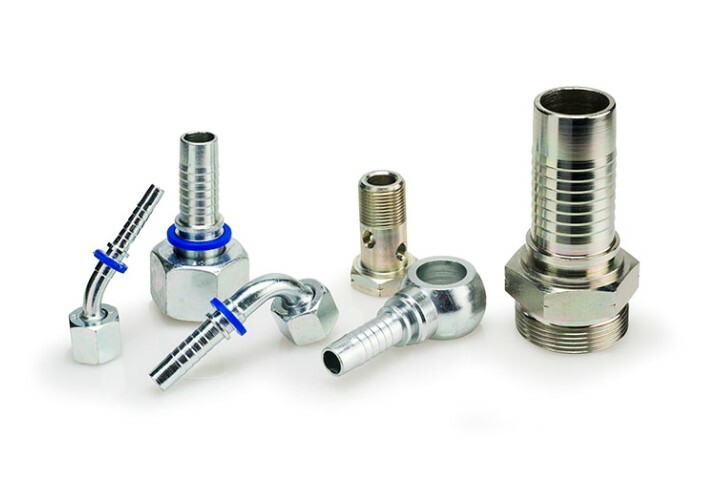 Within this series, we also have 22°; 30°; 60° and 67° fittings. 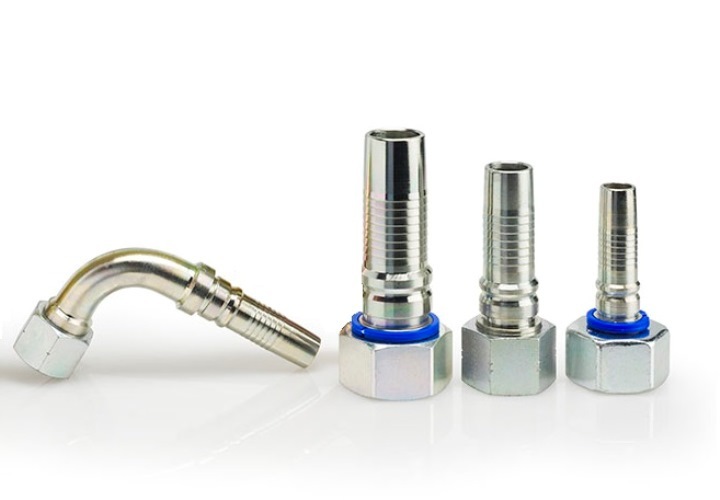 These fittins can also be combined with steel braided hoses, with a specific ferrule.